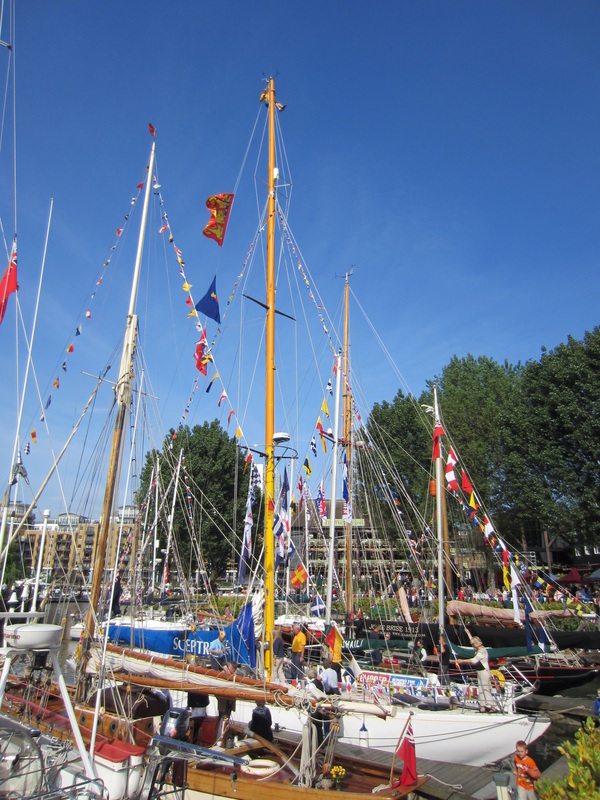 We thought Sir Robin Knox Johnston might like to sail Sceptre Round the Island, as a contrast to the Open 60 he had sailed round the world the previous year (and to celebrate Sceptre's 50th anniversary). To our delight, he accepted, and, together with his brother, a couple of friends, and Sceptre's crew, enjoyed a thrilling race. 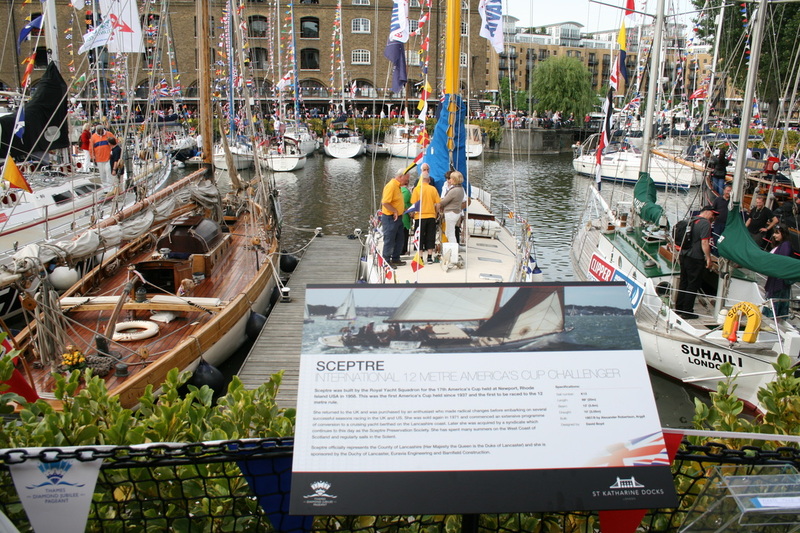 They passed some 990 of the 1557 boats which finished, and came second in class. Sir Robin was a charming and generous guest, and seemed as delighted with his weekend as we were with ours! 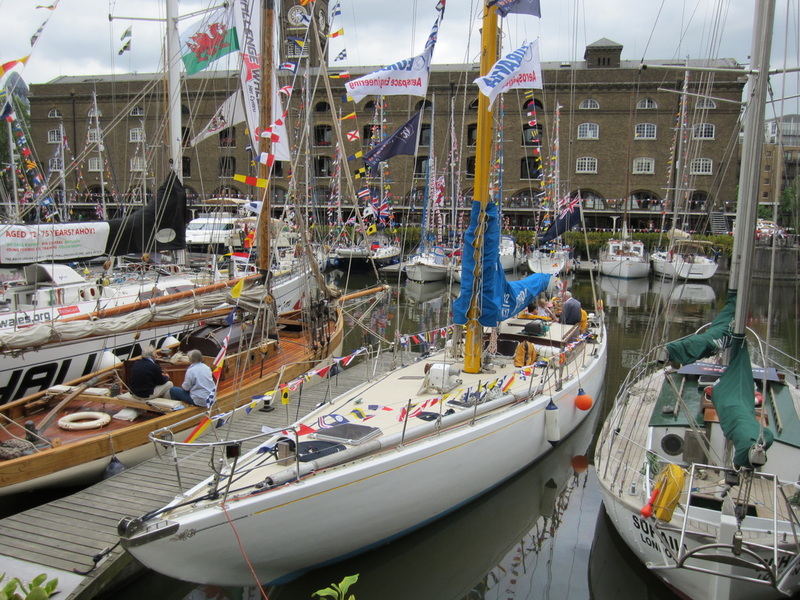 The British Classic Yacht Club kindly held a reception for Sceptre during their Regatta, on the occasion of her 50th birthday. We were delighted to welcome a number of special guests who had been involved with Sceptre's America's Cup challenge in 1958. The new glasses are put to good use! For a number of years the NSSA has arranged for a few days' sailing on Sceptre to be offered as their President's Prize. This is presented to eight young people, put forward by their school sailing clubs, who are felt to have offered the most to their sailing community during the year. 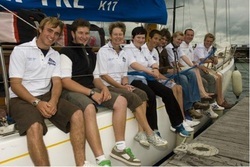 They join Sceptre's crew to enjoy a different type of sailing, and invariably have a great time. Read an account of one group's adventures, from 2007.